Many of our clients wouldn’t consider installing anything else but Soundcraft and Studer, the world leaders in live and broadcast audio consoles. 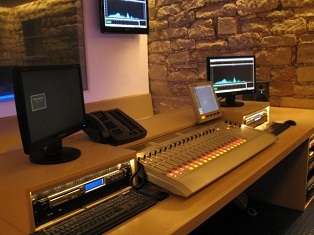 However, choosing the right equipment for your TV Studio, Post Production Studio, Radio Station, or O.B. depends completely on the production schedule and its applications. 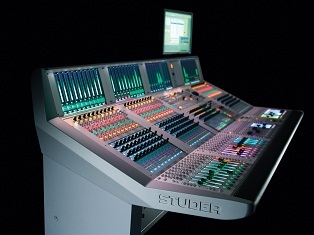 Studer’s range of On-Air and Vista Digital Mixing Systems make them the world’s leading provider of consoles to the Broadcast sectors. A combination of unerring reliability, absolute quality in design and build and pristine audio, are just a few of the reasons why Studer equips many of the world’s leading production studios and OB trucks. 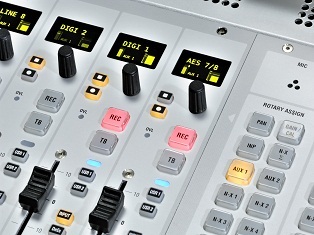 Whether wrestling with the intricacies of delivering a live HD broadcast from an international sports event half-way up a mountain, broadcasting the Eurovision Song Contest, or delivering the news from a national networked studio, Studer will ensure the audio gets through. 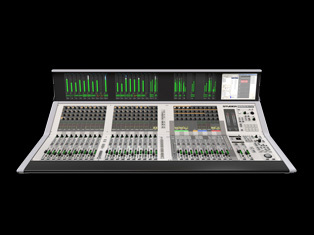 Just one example is Studer’s New On-Air 2500 Digital All-In-One Console; Totally self contained, and a natural progression of its predecessor the On-Air 2000; with the On-Air 2500, the control surface, I/O breakout, DSP Core and power supply are all integrated within a single compact chassis. In addition the On-Air 2500 utilises the well established software technology derived from the highly acclaimed On-Air 3000 consoles to deliver ease of use for Radio Broadcast. The most important functions are just one finger stroke away, accessible almost virtually instantly, imperative in any frantic live on-air situation. Vistonics is without doubt the most advanced digital console user-interface on the market today. Designed and patented by Studer, it follows the philosophy of ‘where you look … is where you control’, reducing time and easing the overhead of mind-mapping, whilst letting the engineers completely focus on the mix. 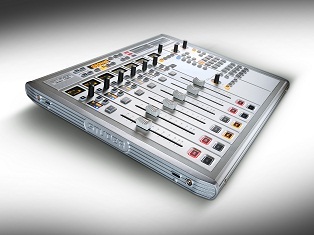 One of the most portable desks on today’s market is The Vista 5 M2, a highly flexible compact digital mixer, with a well-conceived control surface that will find favour amongst users in broadcast production, live sound and performance venues. Whilst at the other end of the range is The Vista 9, which follows on from its predecessors, the Vista 5, 6, 7 and 8 desks, combining advanced ergonomic design with complete system flexibility and immaculate audio quality. The Vista 9 supplements the Vistonics interface with radical and innovative TFT-based metering, FaderGlow and numerous other innovations which will take its operators to a higher level experience. Soundcraft mixers have been an integral part of the Broadcast environment for decades, delivering the best quality; for transmission to air, in production to make the best programming, or creating light work of live studio events, either way Soundcraft mixers are undoubtedly world-renowned. Today’s transition to HD makes audio quality even more important than ever, so the need to be able to depend the correct choice of equipment, to help deliver that quality is imperative. Soundcraft recognise the needs of Broadcasters all over the world and delivers their knowledge and experience to meet their client’s total satisfaction. For example; their exclusive range of analogue mixers for self-op DJ broadcasts, or production mixers, that do exactly what you need with no frills, plus of course, the latest digital consoles for superb productions. Soundcraft have an extensive selection of Industry workhorses; from the Series 10 and Series 15 analogue mixers, both fully modular, On-air mixing consoles designed for use in local radio stations or smaller studios of national radio stations, drawing on Soundcraft’s knowledge of designing and customising consoles for the broadcast audio market. Extensive configuration options available within modules mean that the features and flexibility you would previously have expected only on a customised desk are available. In terms of audio routing, remote control and signalling facilities, Soundcraft sets a new standard for versatility, and compact, ergonomic efficiency. JBL Professional produce the finest studio monitors with industry leading performance for demanding recording, post-production and broadcast applications. 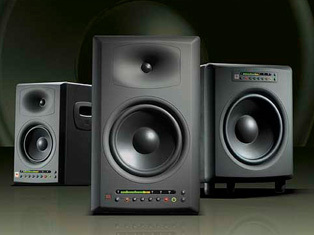 Utilizing over 60 years experience in transducer design, JBL Pro create the perfect studio monitor for any application. Broadcasters are generally under increasing demands to produce high-quality, high-tech display sets that give them extensive versatility. With the rise of HDTV, more competition, and the increasing expectations of today’s sophisticated audiences, broadcasters need systems that allow them to innovate whilst on-air to attract more viewers. For these professionals, the Vista Spyder family of video processors is the only choice, because it’s the only video processing system in the world capable of performing every image-processing task they need … With Vista Spyder, a single system does it all! 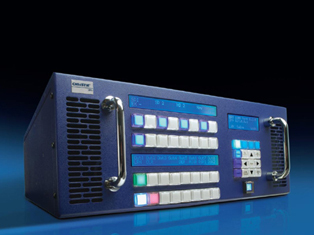 Vista Spyder is a proven tool among broadcasters, allowing them to do almost anything they can imagine. Spyder can create a background canvas of millions of pixels and incorporate live multi-format sources of any kind … including DVI, HDSDI, analogue or composite … onto a single display or multiple screen displays. Live-camera feeds, computer graphics and pre-recorded video media can all be on screen simultaneously. 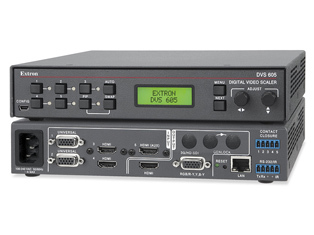 Extron manufacture an extensive selection of computer-video interfaces, switchers, configurable control systems, distribution amplifiers, computer-video scan converters, scalers, signal processing equipment, and high resolution cables. A.L.A. 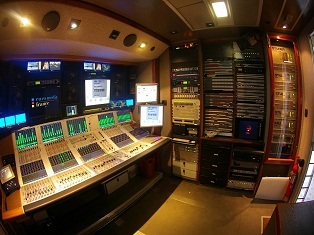 Equipment Company incorporate these products into our installations to integrate audio, video, and computers into production displays for today’s demanding broadcast studios and other applications. The company also keeps numerous stocked accessories and spare parts at their logistics centre, as part of the company’s installation promise and after sales service agreements.